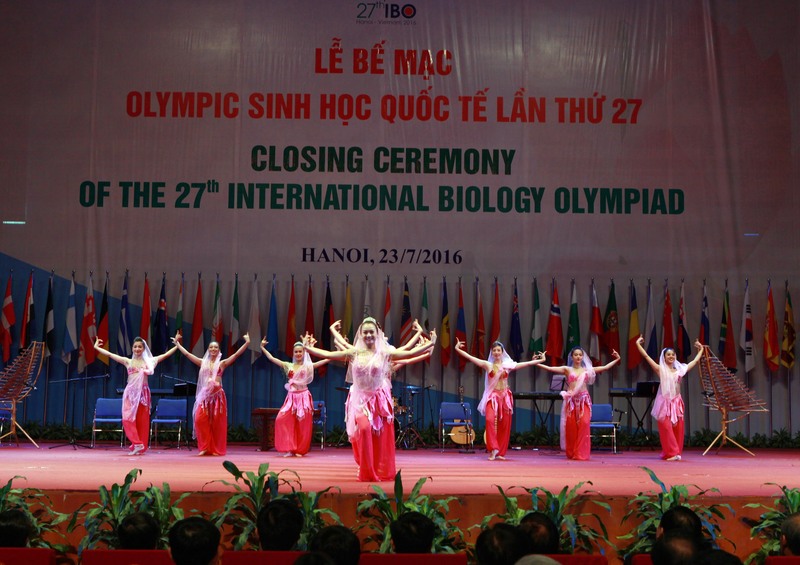 On 23/7/2016, at National Convention Center (Hanoi), the 27th International Biology Olympiad (IBO 2016) Closing ceremony was taking place. Presenting at the Closing Ceremony of the 27th International Biology Olympiad (IBO 2016) were Assoc. Poonpipope Kasemsap - chairman of IBO International Steering Committee, representative of embassy delegations and international scientists; Mr. Vu Duc Dam - Deputy Prime Minister of the Socialist Republic of Vietnam; Dr. Nguyen Vinh Hien - Deputy Minister of Education and Training; Prof. Dr. Nguyen Van Minh - President of Hanoi National University of Education, Head of the 27th IBO Organization Board; together with candidates, volunteers, teachers, juries and observers from 68 countries and domains across the world. At the ceremony, on behalf of the government and Vietnamese citizens, Deputy Prime Minister Vu Duc Dam congratulated on the excellent results that contestants had achieved after days of alternating tension and excitement. 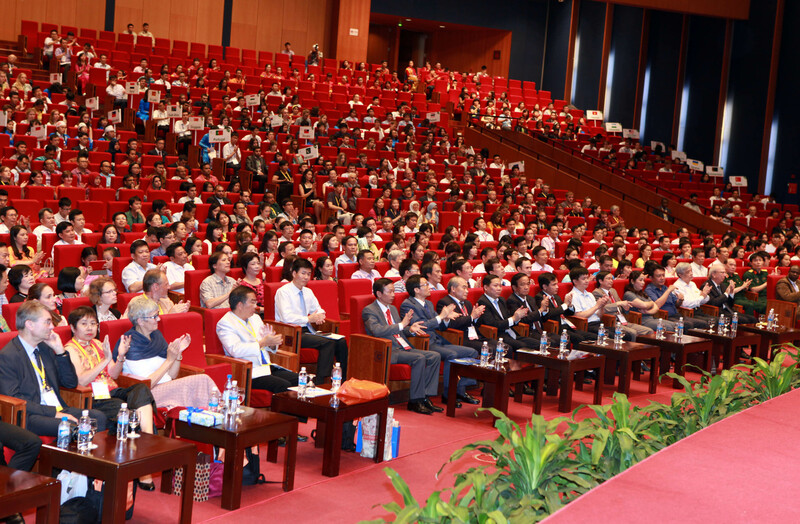 Deputy Prime Minister hoped all students would accelerate their efforts to become great scientists, future leaders who would make human civilization progress and optimize their talent for the best purpose, dedication to the prosperity of their countries, for peace and development all over the world. Then, on behalf of the 27th IBO International Steering Committee, IBO chairman, Assoc. 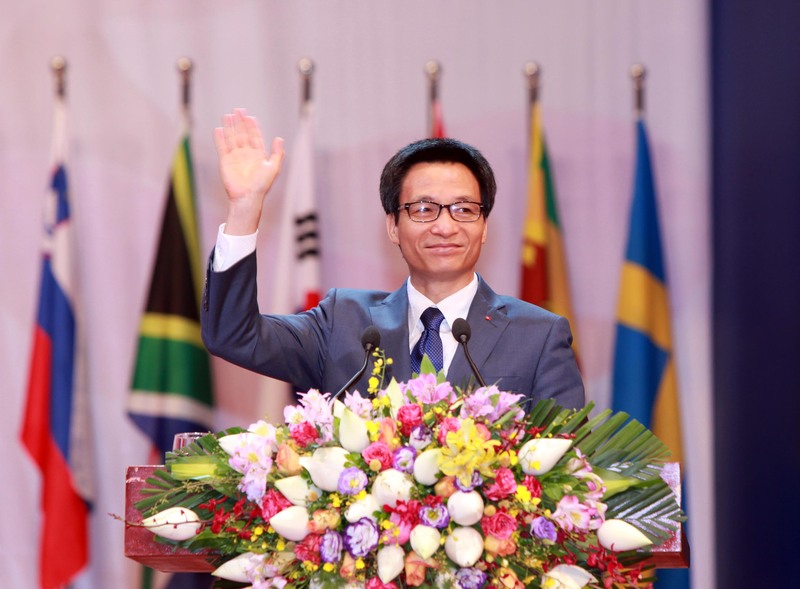 Poonpipope Kasemsap showed his gratitude to Vietnamese authorities for creating the most favorable conditions for the 27th IBO. The Steering Committee and the Organizing Board had made great contributions to the success of IBO 2016. 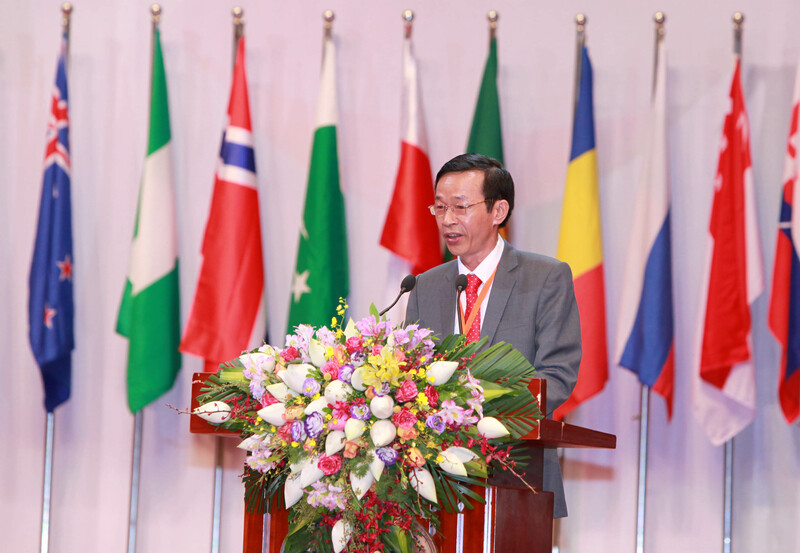 In the closing speech of IBO 27th, Prof. Dr. Nguyen Van Minh, President of Hanoi National University of Education, Head of Organization Board, had expressed his deep appreciation to the collectives and individuals who directed functioning, deploying and supporting the 27th IBO held in Vietnam, especially the sense of gratitude to International Biology Olympiad Committee, international scientists, juries, observers who had been working responsibly, organizationally, impartially and cooperatively. At the Closing Ceremony, there were 26 gold medals, 51 silver medals and 74 bronze medals awarded to the winners. Top three contestants were Singaporean and Chinese, with the highest score being Yi Shen Justin Lim from Singapore with 95,574 (out of 100) points. In addition, the Organizing Board also awarded the most creative video prize for the delegation from Taiwan. 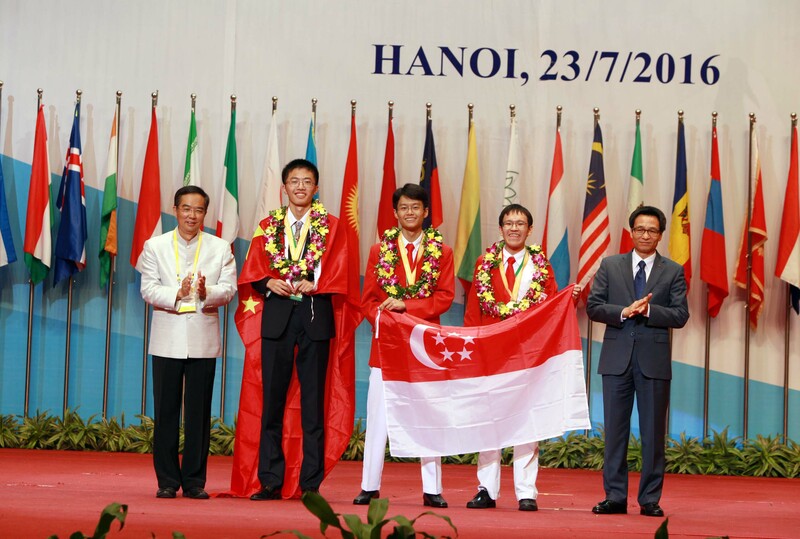 Vietnamese delegation includes four candidates involving in IBO 2016 with four medals earning afterwards. The contestants are as follow Vu Thi Chinh - Gold Medal; Le Thi Hong Hoa - Silver Medal; Nguyen Ngoc Minh Hai and Nguyen Dac Hieu - Bronze Medal. 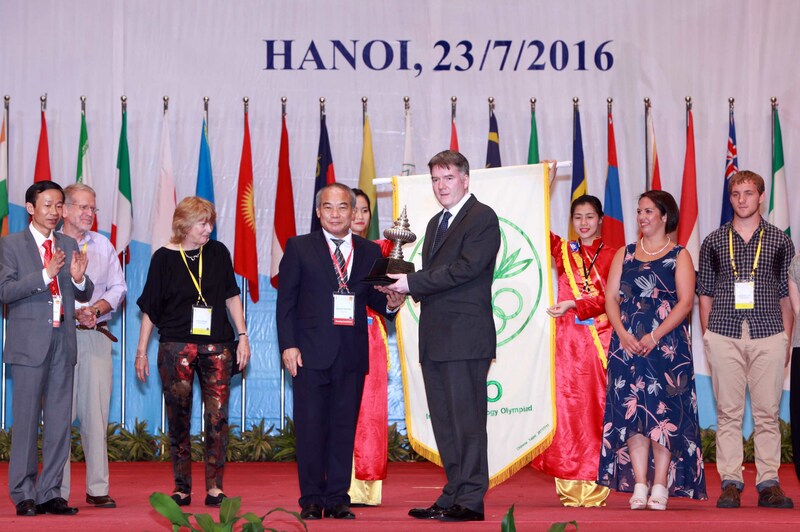 At the Closing Ceremony, Deputy Minister of Education and Training, Head of the 27th IBO Vietnamese Steering Committee - Dr Nguyen Vinh Hien presented the cup, flag and hand-over ceremony to the host of 28th IBO, the United Kingdom under the witness of Assoc. Poonpipope Kasemsap and Prof. Dr. Nguyen Van Minh. 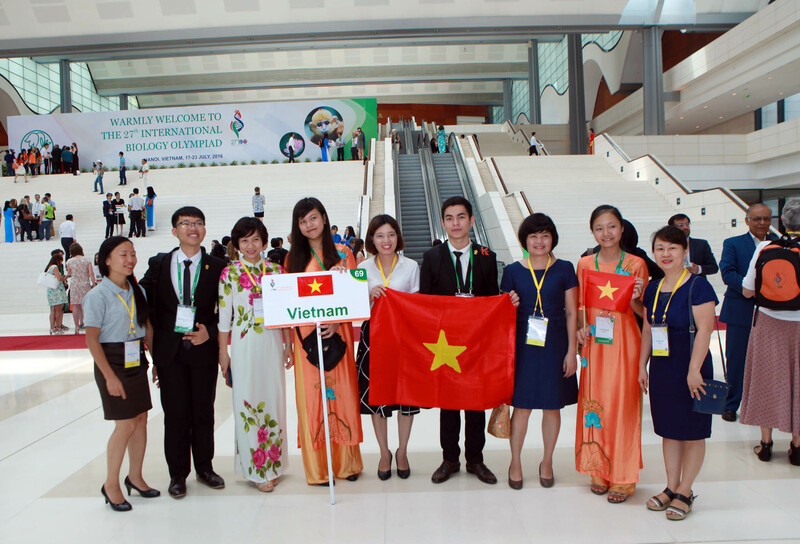 IBO 2016 was an important international event successfully organized in Vietnam. 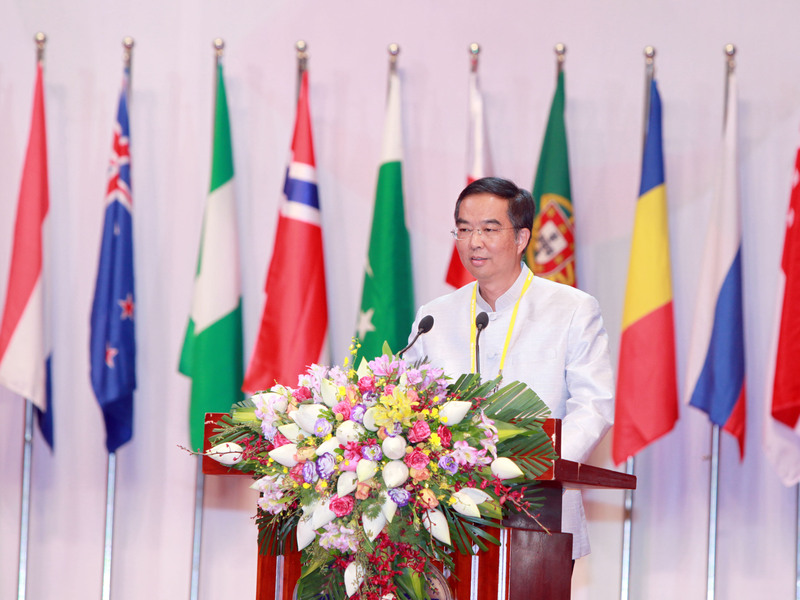 During the 27th IBO, honorable delegations from 68 countries and domains were warmly welcome by the host, leaving a good impression about the country and people of Vietnam.